Proper nutrition is one of the critical foundations of a healthy lifestyle. What, when and how much you eat can affect multiple aspects of your life and wellness overall. At St. Paul Chiropractic & Natural Medicine Center we believe that we have the best nutritional doctor in all of the St. Paul, Minnesota area and are confident that you will feel the same after visiting our clinic. Dr. Chris Lilja and his team are passionate about improving lives through nutrition. Your relationship with food can have positive or negative impact on weight management, chronic disease risks as well as your physical, emotional and cognitive health. Nutritional supplements can also provide wellness support in a convenient form. If you are overweight the impact on your health and wellness can be challenging to say the least. Millions of people in the St. Paul area struggle with weight loss and management on a daily basis. Being able to lose weight and keep it off can reduce your risk of developing a chronic health condition like type 2 diabetes, heart disease, high blood pressure, stroke and cancer. Being able to reach your optimal weight on your own does not make you a failure. St. Paul Chiropractic & Natural Medicine Center can help you to reach and maintain your optimal body weight through nutritional counseling, education and nutritional supplements when appropriate. Chronic inflammation is linked to numerous health conditions and the relationship between nutrition and inflammation can be profound. A clinical nutritionist can educate you on ways in which your diet can affect an inflammatory response in your body. Eating the wrong foods may cause you pain, gastrointestinal distress or result in an increased risk for a combination of chronic health problems. There are many pathways to optimal health and happiness that are safe and natural. At St. Paul Chiropractic & Natural Medicine Center, our healthcare professionals can provide you with an individual wellness plan that addresses your healthcare needs. 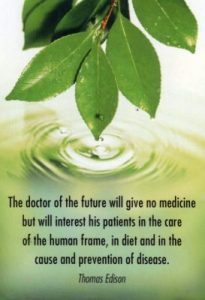 A customized wellness plan may include chiropractic care techniques, massage therapy, lifestyle changes and nutritional support as a way to transform your life naturally. Wouldn’t you love to have a better understanding of how nutrition affects your own body and ways that you can transform your health through diet and or nutritional supplements? The clinical nutritionist at St. Paul Chiropractic & Natural Medicine Center can assist by working one-on-one with you to maintain a healthy weight, manage a chronic health condition and to reduce pain and inflammation in your body. Together we can find your pathway to optimal health. Contact St. Paul Chiropractic & Natural Medicine Center for the best nutritional healthcare in Saint Paul, MN at: (651) 644-7207.